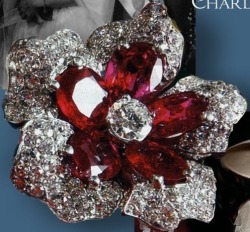 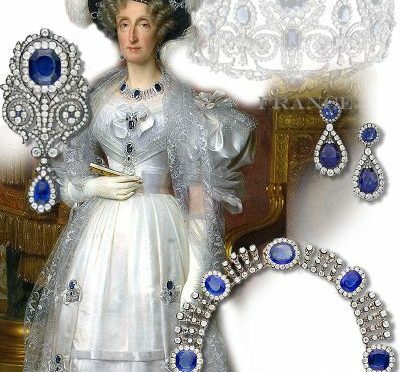 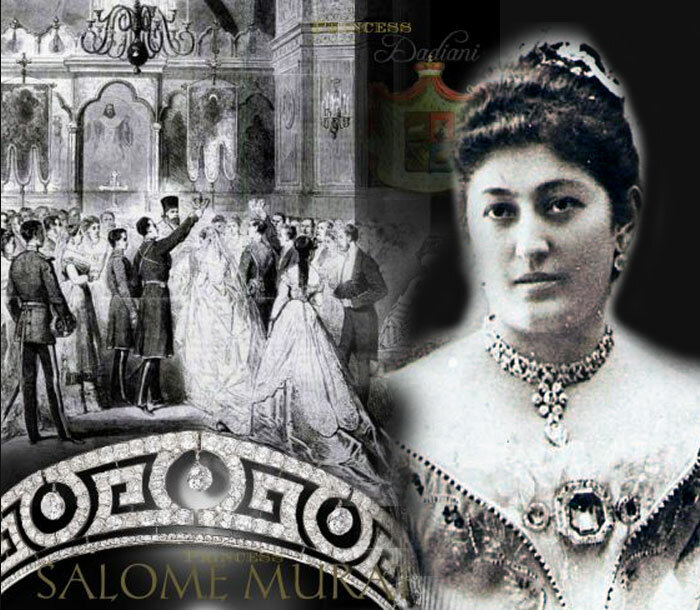 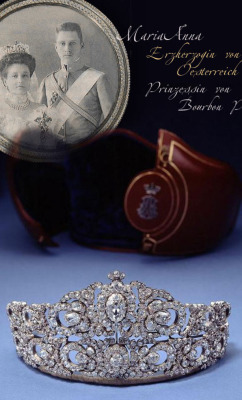 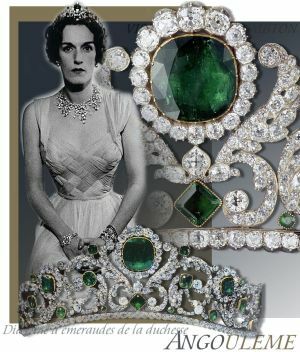 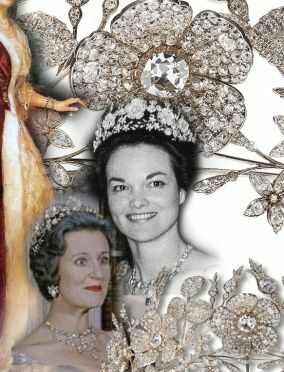 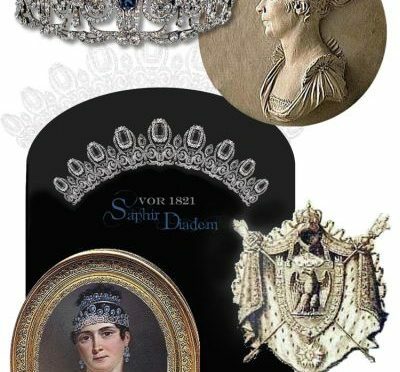 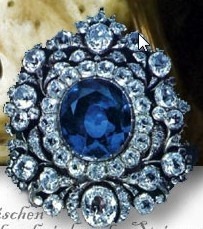 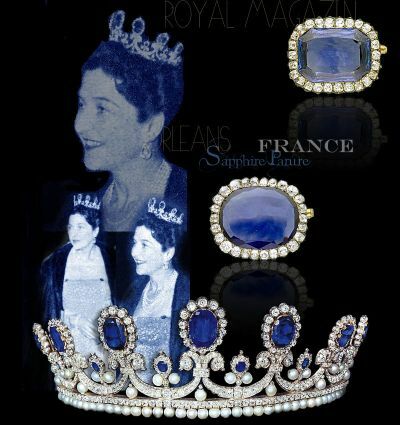 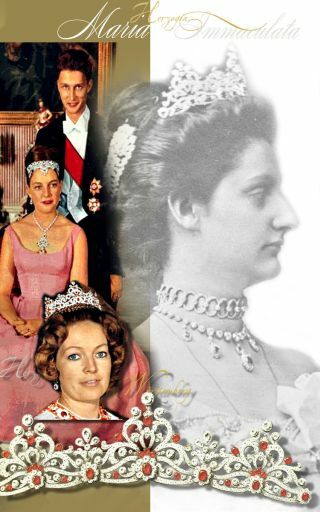 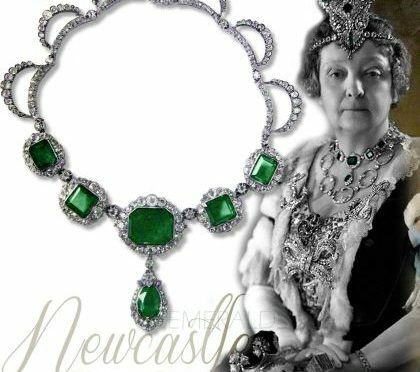 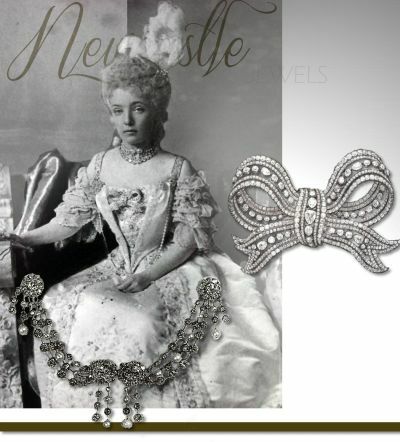 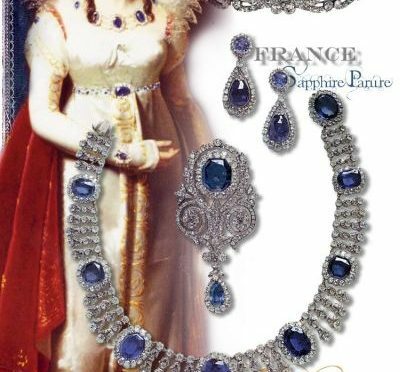 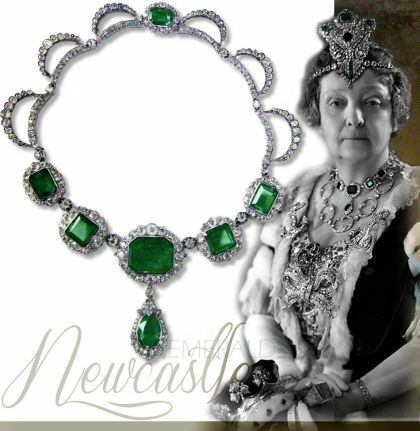 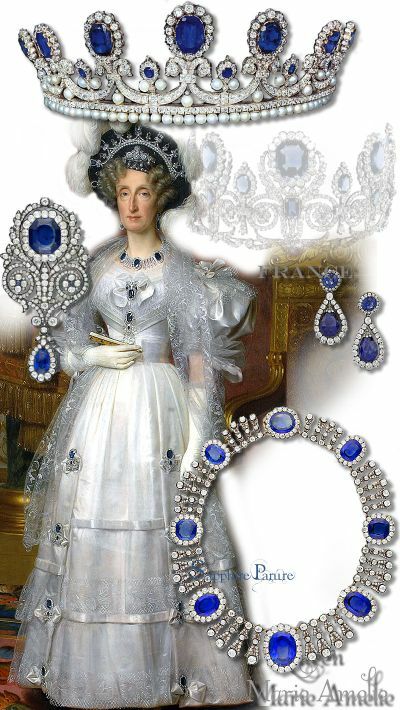 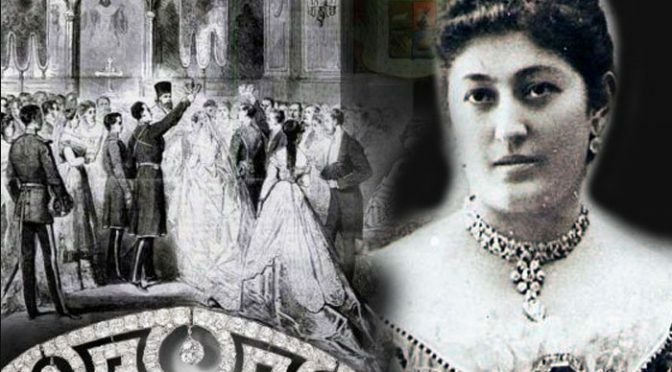 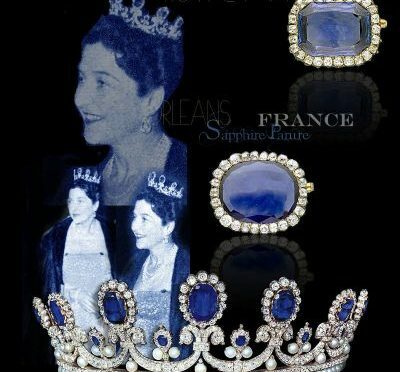 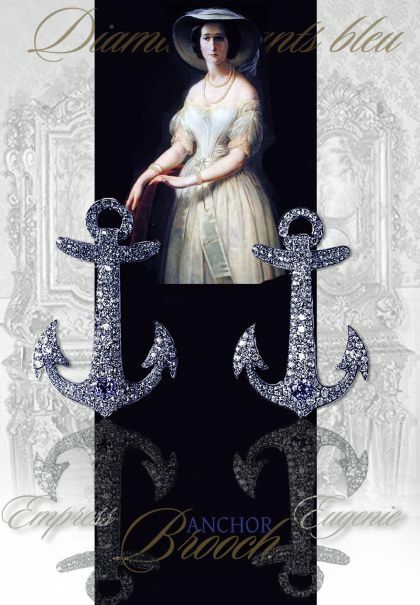 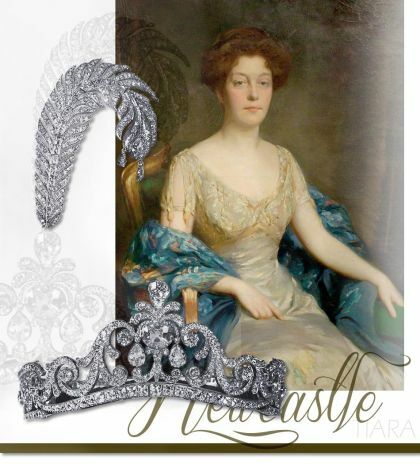 Imperial and Royal Sapphire Royal Jewel history, the story behind the Orleans Sapphire Parure …. 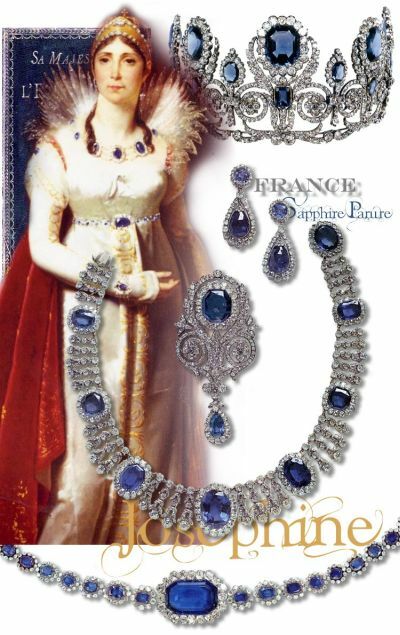 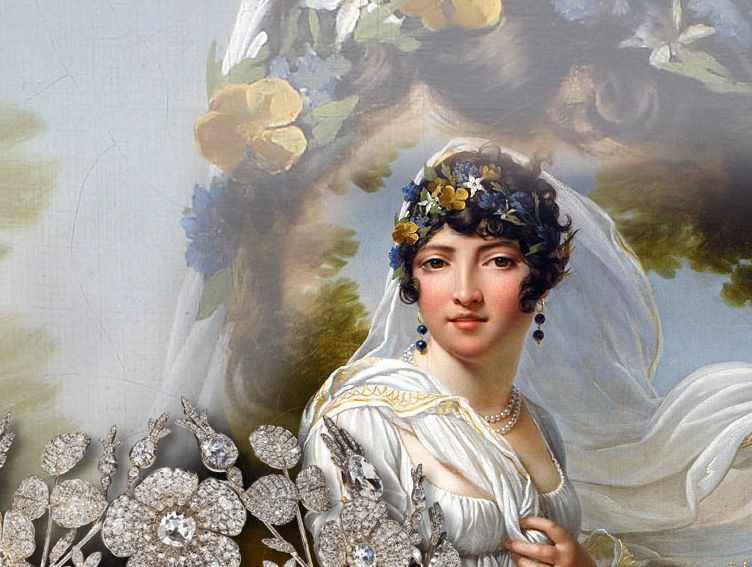 Above, a painting attributed to Hersent from the late 30s of the 19th century, shows Queen Marie-Amélie with the original parure before reworking. 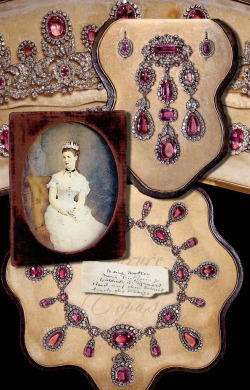 Sewn onto her dress, you can see the nine detachable diadem elements and the ‚Peigne-Couronne‘ in their original condition. 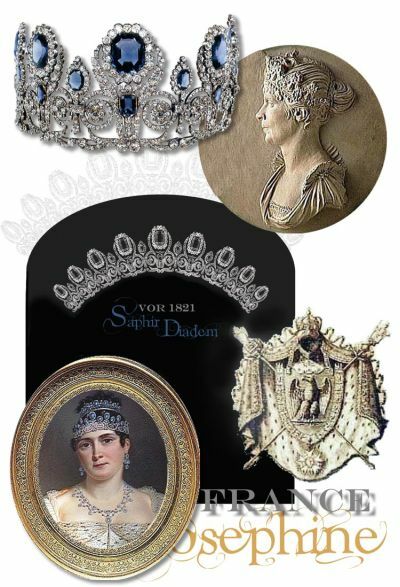 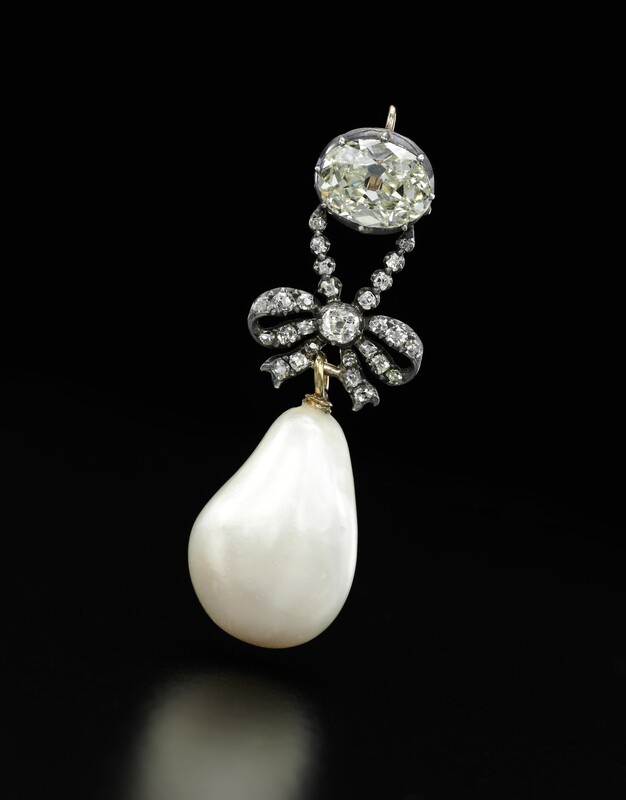 The smaller brooch by Hortense de Beuharnais, which is stuck on a silk bow, as well as a necklace and earrings by Queen Hortense.